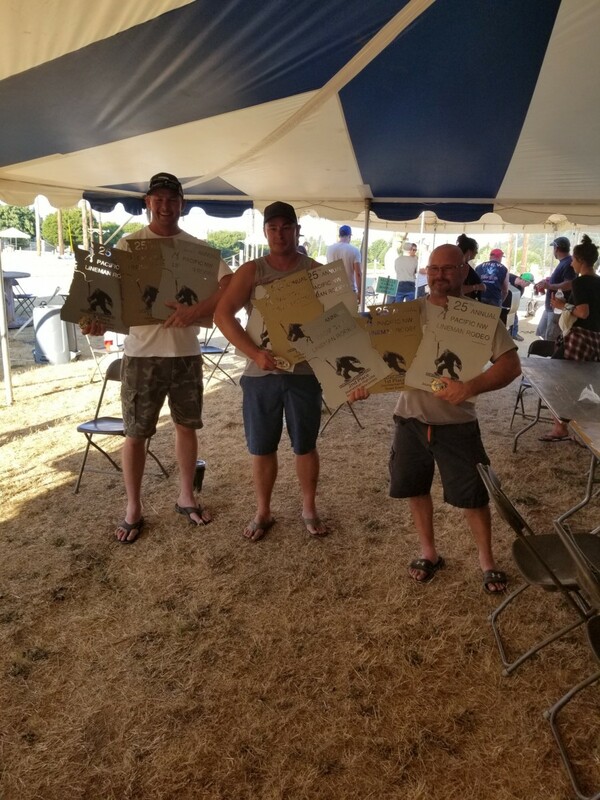 IBEW 1245 members Dustin Krieger, Josh Kilna and Steve Johnson from Turlock Irrigation District came in second place overall in the journeyman linemen competition at the 25th Annual Pacific Northwest Lineman Rodeo 2018 held in Gresham, Oregon on July 28, 2018. They also took first place in the wire down event and second place in the high line insulator replacement event. Additionally, IBEW 1245 members Anthony Albright, Adam Beene and J.P. Richard from PG&E came in third in the high line insulator replacement event.